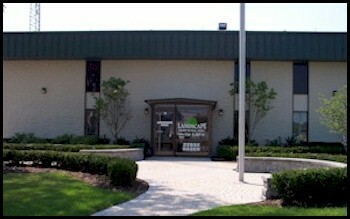 Over 22 years ago two family businesses merged to establish Landscape Services, Inc. (LSI). Lloyd and Lenny Schafer of Schafer Landscaping and Paul Doppke of Paul's Landscaping had both serviced the same areas and had similar business goals; provide dependable, personalized, quality landscaping services. LSI is the product of two grass roots companies that evolved from the ground up. For over three decades LSI has been providing full service residential and commercial landscaping and maintenance. Our continued success remains deeply rooted in our philosophy; to provide exceptional work for a fair price. Our staff carries that same high standards and principals. “Do it right the first time, structurally, aesthetically, and on time”. From design, installation and on to maintenance, our goal is to remain, "Extraordinary from the Ground Up". LSI has grown from its first location, a 3,500 square foot facility on Little Mack in Roseville Michigan with 12 employees to currently an average of 150 employees during the summer seasons operating within 3 building facilities, a 7,500 sq ft warehouse building on 3.5 acres, a 13,000 square foot facility on 0.75 acres used for administration, design, sales, vehicle, and equipment repair and another 5000 sq ft building on 0.5 acres dedicated to irrigation services and turf fertilization. LSI owns over 90 vehicles including pickup trucks, all size dump trucks, semi trucks, bucket trucks and stake trucks, over 40 trailers, over 35 various sizes loaders, and all the smaller machinery to support all its departments. LSI inventories a wide range of nursery stock, irrigation supplies, bulk salt (over 2000 tons always in stock) bag ice melter (over 10,000 bags in stock at all times).